No one can do everything, but everyone can do something. How do you get involved in helping waiting kids who so desperately need us? I would like to receive information on how to become an adoptive or foster family. I would like to receive information on volunteering at one of Project Zero’s events. 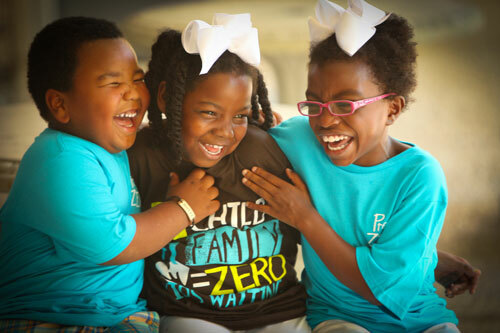 The simple act of sharing this website, sharing one of Project Zero’s videos, or sharing one of our upcoming events will help us open the eyes of people who may not know the opportunities that exist to help kids who are waiting in the foster care system to be adopted. Project Zero is 100% funded by private donations. In other words, we are owned by people like you who simply care. What is even better is that ninety cents out of every dollar goes directly to benefit waiting kids and to raise awareness about the need for adoptive families. You can know that your investment is going to make a difference in the life of a child. First. is a single one time gift. By selecting the link below you may choose the amount. Your gift will be directly injected into the general fund and will immediately help a waiting child. The second way to give is to set up an automatic reoccurring monthly gift. By giving automatically, you allow us to take on projects that we might not be able to do otherwise. There is no better way to help waiting kids through Project Zero than through automatic giving. A monthly gift as low as $10 per month will create a budget increase and will immediately help more kids. I want to give a one time gift! I want to set up a monthly automatic gift! The third way is by taking advantage of Amazon Smile. By clicking the button below, you can shop on Amazon.com and a portion of your purchase will go towards helping waiting kids. There is no extra cost.